- Men's, Ladies', Boy's Girl's & Junior's !! We have these superbly crafted putters in stock now. Includes head cover. Very popular style!! This is the putter choice if you want more feel (perfect if you like to play a distance ball)!! Yes! These are brand new ...Built in the U.S.A. ! Only $4.50 shipping cost to anywhere in the USA!!!.. We ship most orders within 24 hours. Yes we accept Paypal. One year manufacturers warranty! 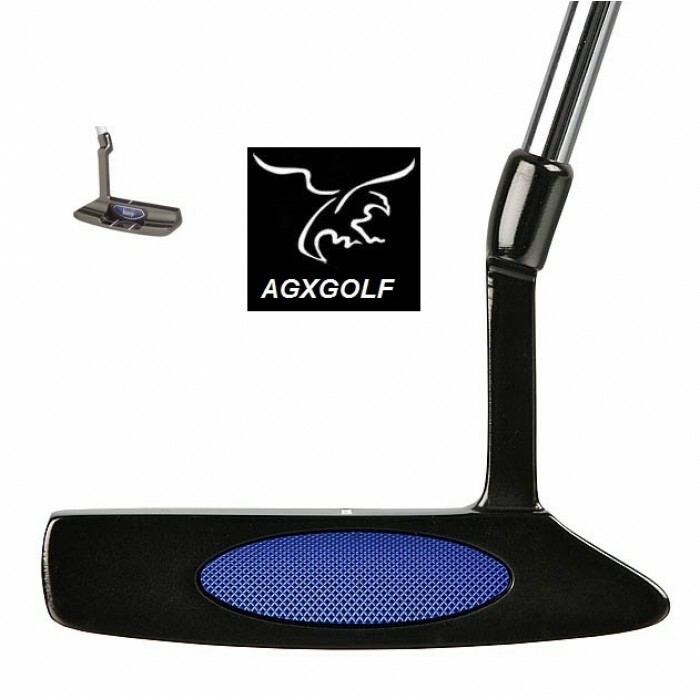 The agxgolf bionik putter uses a full offset hosel for increased feel and consistency. The Bionik putter features a soft alloy insert that gives more feel and less "bouncing" of the putter face, this lets the ball roll instead of "hopping". The precision milled face helps ensure superior performance. The nice weight and balance has given me a better feel and a more smooth and consistent stroke, resulting in a greatly improved putting game. This good looking putter outperforms my other 3 at a fraction of the cost. Great club.